Paragons Partnerships member, UN SDG Action Campaign is running the 2nd edition of the UN Sustainable Development Goals Awards. The United Nations SDG Action Campaign is a special initiative of the UN Secretary-General administered by the UN Development Programme (UNDP) and mandated to support the UN system-wide and the Member States on advocacy and public engagement in the Sustainable Development Goals (SDG) implementation. The UN SDG Action Campaign aims to mobilize and inspire individuals and organizations to take action and join the global movement for the SDGs, while connecting people’s actions and perceptions with decision makers in SDG planning and review processes at all levels. The UN SDG Action Campaign inspires and empowers people with knowledge, platforms and tools to share their opinions and experiences and actively contribute towards the achievement of the Sustainable Development Goals by 2030. 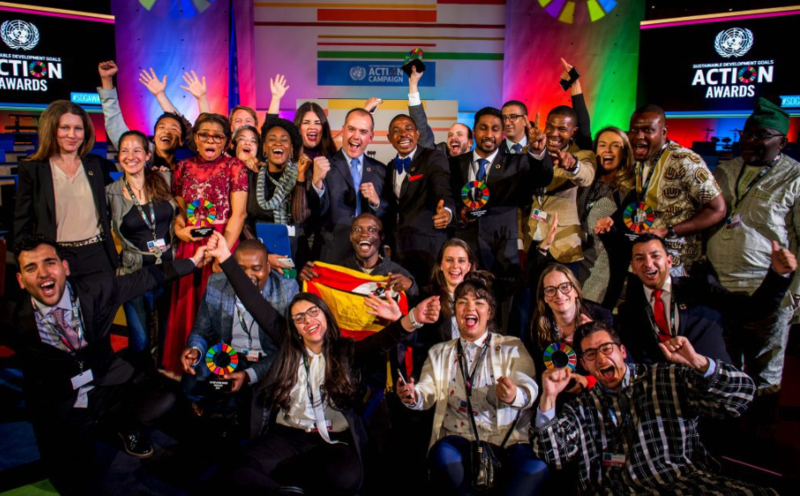 The UN SDG Action Awards recognize the most brilliant individuals, civil society organizations, subnational governments, foundations, networks, private sector leaders who are working on SDG advocacy to advance the global movement for the Sustainable Development Goals in the most transformative, impactful and innovative way. To enter a project or initiative please prepare the application by filling in this form. The window for submissions runs until 30 January 2019 with all shortlisted finalists being notified by March. Read more on UN SDG Action and its relationship with the ESOMAR Foundation.